Be the first to hear about their new releases and deals. Download the Booksprout app and search for Lynsey M. Stewart today! 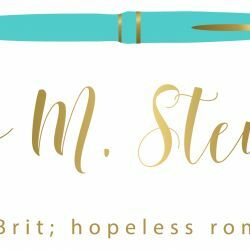 Lynsey M. Stewart enjoys writing stories about characters that experience a few bumps in the road before finding their happily ever after (also known as contemporary romance with plenty of heat…) She lives with her husband, her soulmate and muse, along with their gorgeous, precious, ridiculously independent little girl. Lynsey began writing after being inspired by great books, amazing writers and wonderful stories that she couldn't stop thinking about long after reading the last word. If she’s not writing you can usually find her with her head in a book or singing along to music. She’s hopeless, but she enjoys pretending to be Adele every once in a while.